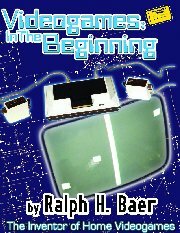 My book "Videogames: In the Beginning" is now available from Rolenta Press www.rolentapress.com. "Ralph Baer has done an amazing job of explaining both the bolts and particularly the nuts of the origins of videogames. He blows away the popular myths and finally exposes the truth of where it really came from. No one has cut a wider swath through videogame history."